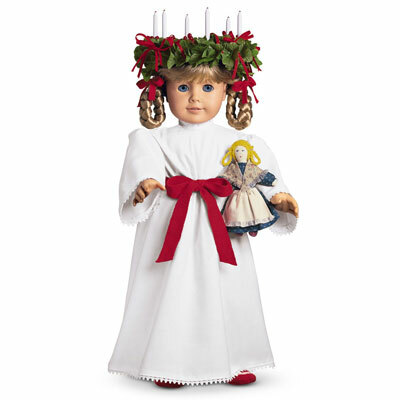 Truth: Molly was the least showy and, at least of the original, lily-white, middle-class American dolls, the only one with any sort of class consciousness. It was a consciousness enforced by the war, but still, the book’s renderings of thrift were my introduction, other than A Tree Grows in Brooklyn, to what it meant to sacrifice, and how to substitute the feelings of resentment with those of purpose and solidarity. It was, of course, propaganda — the sort of retrospective rendering of World War II and the role of the greatest generation, and their children, within it that allows us to continue allocating money towards the military industrial complex, etc. etc. But in comparison to the equally ideological and nationalistic tales of Felicity, Kirsten, and Samantha, Molly suggested, somewhat ironically for a doll that costed over $100, that the key to survival and family happiness wasn’t consumption, but the lack thereof. As children, we papered over that contradiction, lusting after the “simple party dress” that cost (our parents) $20. And I read all of Molly’s books, even if my devotion was reserved for Kirsten and Samantha. In some ways, I think of that devotion as a personal failing: an aversion to Molly’s glasses, I think, that said more about the crippling knowledge that I was a nerd and always would be than any identification with Samantha. But my Grandmother Helen was an actual Molly. She was a young woman during the war, but she was Molly’s age during The Depression, and that experience — a second generation Norwegian-American, second sister of three, living in rural Minnesota and, along with her older sister, tending house and caring for her baby sister after her mother passed away — would inflect the rest of her life. She never had the privilege of going to college or had a career that would grant her a pension, and spent the last thirty years of her retired life scraping by on social security. When I obliviously asked for items from the glossy American Girl catalog, all above the Christmas budget she split between six grandchildren, she did what Molly would’ve done: she made them. My grandmother made me a fur muff for Samantha, an ACTUAL Scandinavian costume (as opposed to the cheap St. Lucia costume they sold for $20), bedding for both (why do dolls need beds, and why did I want someone I loved to pay for them?) She also taught me how to braid and pin Kirsten’s hair the way it actually would have been done and, you know, spent time with me which, at the time, I didn’t quite understand as just as valuable, if not more so, than a factory-knit set of faux-Scandinavian mini-mittens. Grandma Helen was, after all, a Molly: she understood that time with loved ones was ultimately much more valuable than goods. She made what I thought I wanted, and she used it as an opportunity to spend more time with me. The American Girl Company pretends like it’s about history, connection, and play, but those are all secondary and incidental to the primary goal of compelling young girls to desire as many goods as possible. Molly’s narrative provided a rupture to that narrative of celebrated consumption in a way that the original doll’s stories did not, which is part of the reason I’m so surprised that Kirsten and Samantha both went into the vault before Molly. But logistics of doll “retirement,” in which the company compels young girls into buying a soon-to-be rarified product, tantalizing them with its unavailability, and then reintroduces her to great acclaim, are so in keeping with the war-time black market, so blatantly anti-Molly, that the whole process revolts and disappoints me in a way that the retirement of Samantha never did. I know Molly’s just a doll. But those of us who’ve owned or coveted American Girl dolls know better: she’s a message, an attitude, a way of being in the world. You might not have endured World War II deprivation, but you were attracted, for whatever reason, to its dynamics. Maybe it was the simplicity, maybe it was the unity. Maybe it was because Molly’s personality somehow seemed to matter more than what she owned or didn’t. The doll was a commodity, but Molly’s narrative so conveniently made you forget it. I wish I could’ve just been happy to sit next to my Grandmother and sew or do puzzles or make lefse. 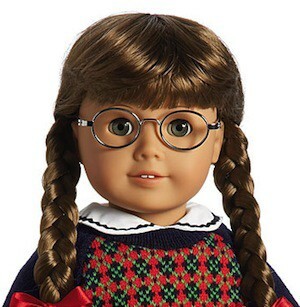 But capitalism inculcated me otherwise, which is why I not only wanted an American Girl Doll in the first place, but wouldn’t be satisfied with one. But even if I didn’t have a Molly, I had a Grandmother who subtly modeled her values, which, ultimately, was far more instructive than a doll and her six stories. The problem, then, and the real reason I’m mourning, isn’t that Molly is retired: it’s that my Grandmother, and the rest of her generation, is gone.